A highly trained, ethical & professional staff. 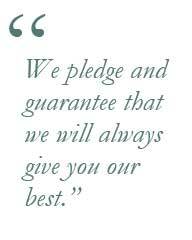 We pledge and guarantee that we will always give you our best. Let us create the smile you've always wanted!